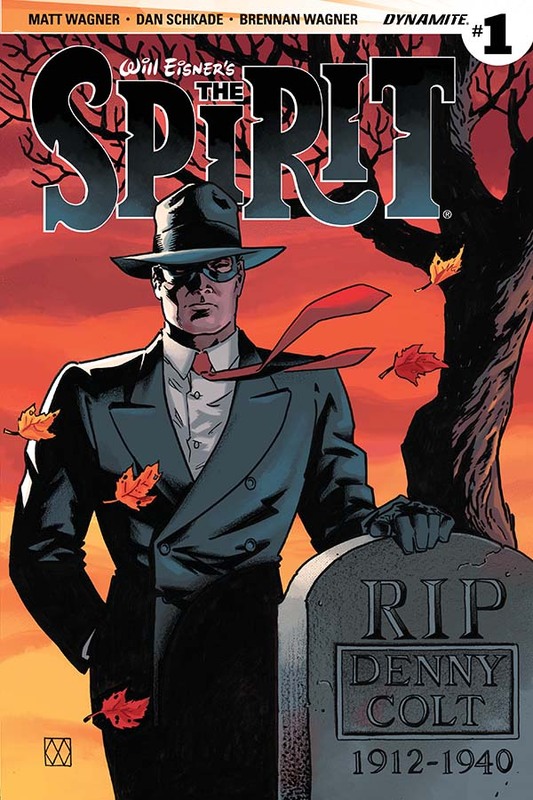 In celebration of the 75th anniversary of Will Eisner’s iconic and ground-breaking character, Dynamite Entertainment is proud to present an all-new ongoing series featuring THE SPIRIT. 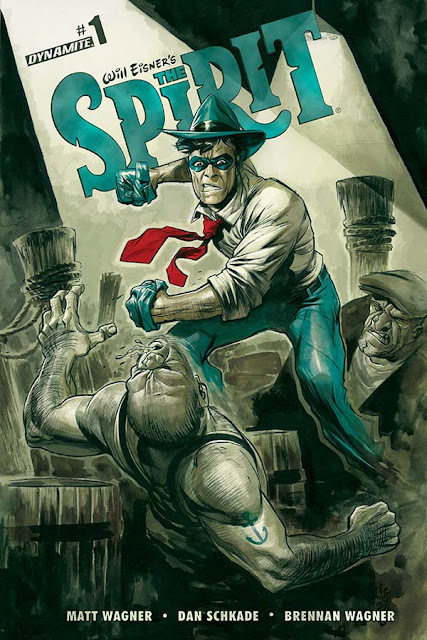 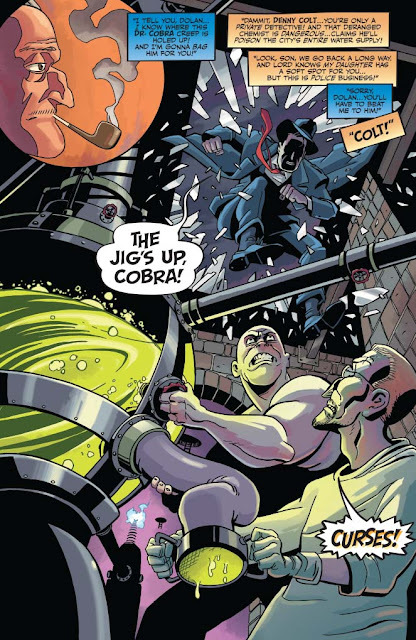 Scripted by Eisner Award-winning author, Matt Wagner, this monthly title will delight longtime fans as well as help introduce a whole new generation of fans to the character. 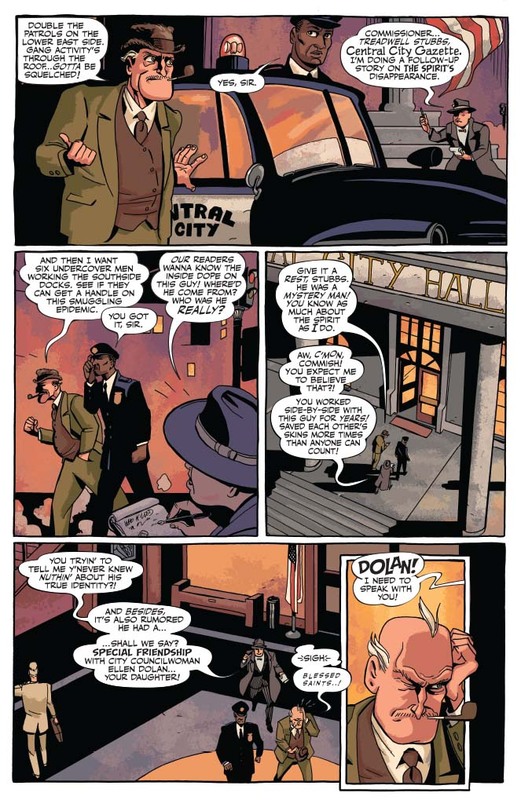 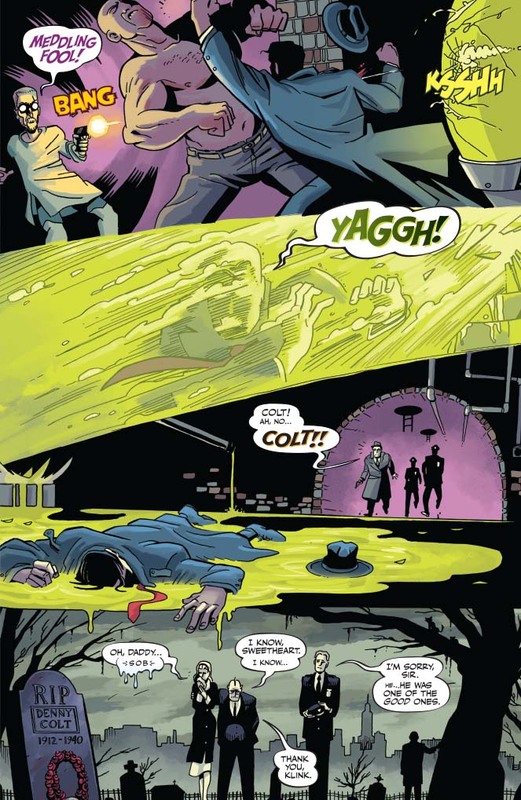 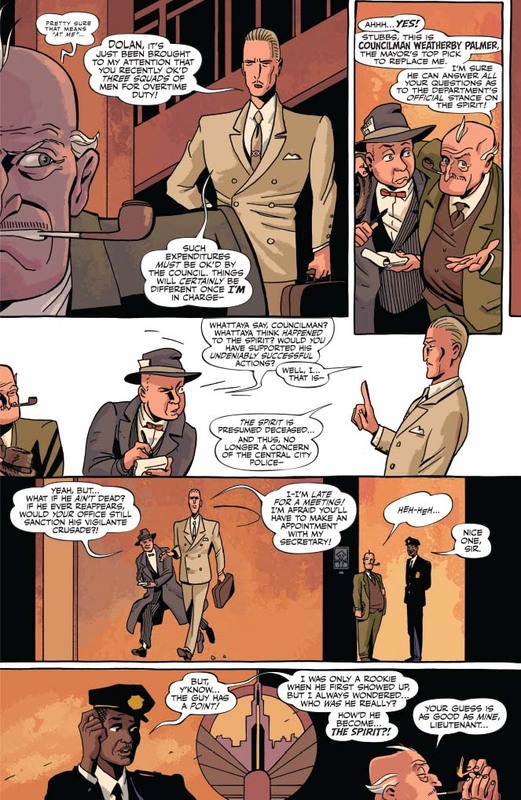 Set in the classic period of The Spirit’s golden age, the 1940s, the first 12-issue story arc follows the strip’s most beloved characters, Commissioner Dolan, his daughter Ellen, Ebony White and Sammy as they attempt to uncover why The Spirit has been missing, and presumed dead, for the past two years. Has the famous blue-masked hero finally fallen victim to one of the malicious felons or beautiful femme fatales from his lengthy rogues’ gallery of enemies? 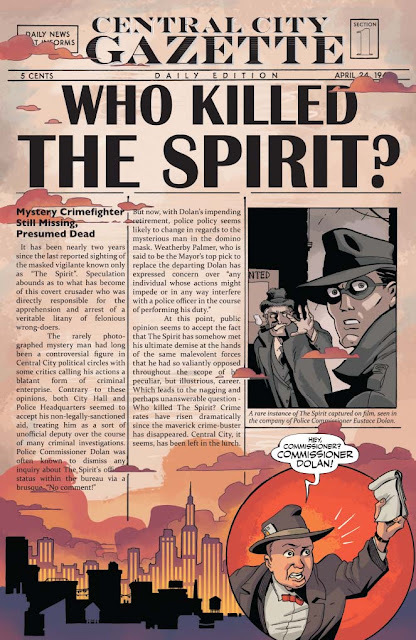 In the words of Central City’s most prominent headlines: “WHO KILLED THE SPIRIT?” Illustrated by Dan Schkade and colored by Brennan Wagner, this series will strive to honor the vital and prestigious legacy of one of comicdom’s most talented and influential creators – Will Eisner.